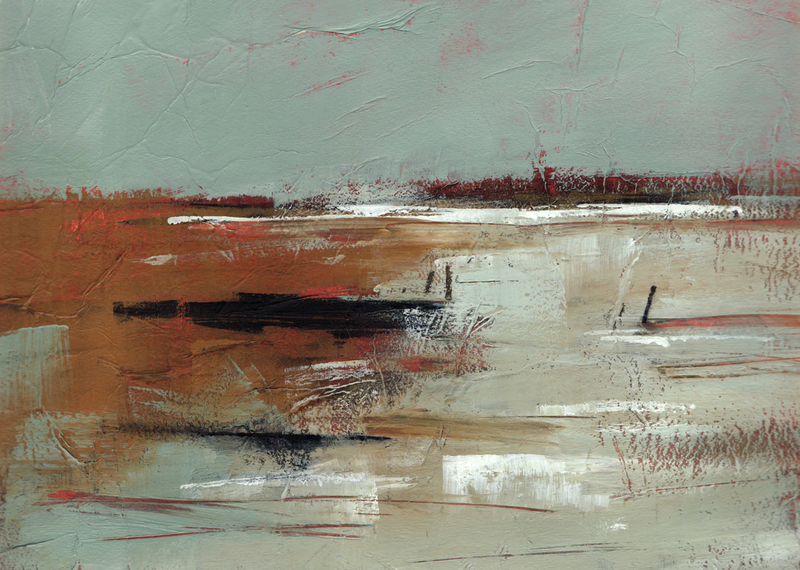 more saltmarsh paintings…and to frame or not to frame? 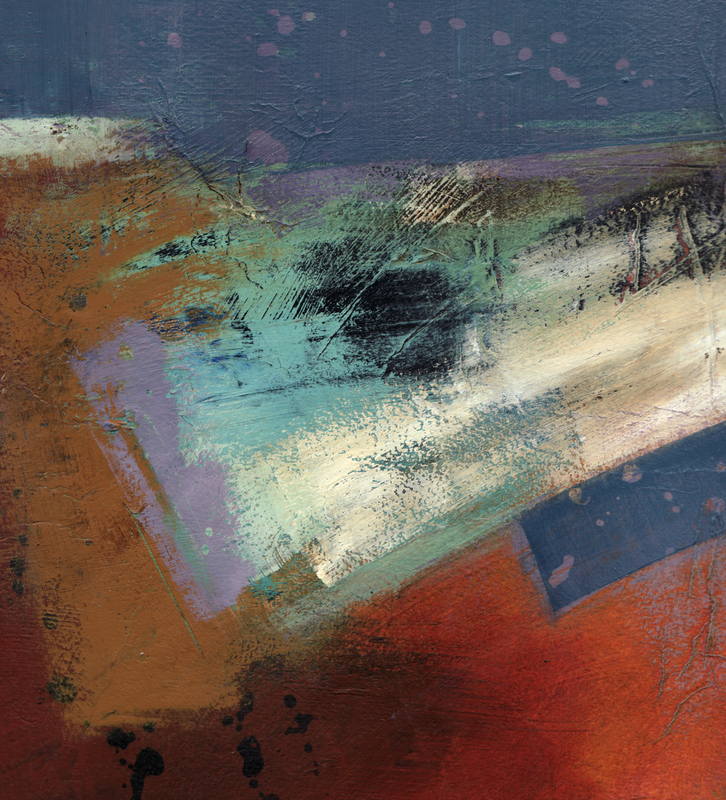 A couple more from my series of saltmarsh paintings (these are larger than the ones in my previous blog), which seem to be going well just now, building into a series which I’ll have to get framed soon for the group exhibition in May at Halesworth Gallery, Suffolk – Six Abstract Artists. As I’ve mentioned before (and its pretty obvious anyway) some are more abstract than others, so given the theme of the show I’ll have to be selective. The framer I’ve been using since moving to Norfolk is Bill Henderson of Henderson’s Arts & Framing in Gaywood, King’s Lynn, who I find pretty reasonable price-wise (they also have a good stock of art supplies). Most of my work in the past year has been on box canvas, which I don’t usually frame. A gallery owner reflected in a recent discussion that buyers’ tastes may be swinging towards a preference for american-style ‘float frames’ for canvas – something I’m considering. When I lived and worked from my own studio/gallery on the Isle of Skye most visitors expressed a preference for leaving the canvases as they were – unframed. Anyway, it’s been refreshing to work on an alternative surface producing these studies of Thornham saltmarsh and creek. I’ve also noticed my colour palette diversifying somewhat from previous more subdued colours I tended to use. This entry was posted in art, exhibiting, Mixed media, Norfolk, Uncategorized and tagged abstract, acrylics, art, artist, canvas, coast, colour, creek, fields, frame, frames, framing, gallery, Halesworth, landscape, mixed-media, painting, palette, saltmarsh, surface, texture by mari french. Bookmark the permalink. Once again, love these images. I will certainly pop into your show at the Halesworth Gallery. Good luck with that. I guess you’ve been to checkout the space? It is a beautiful old building. I don’t frame deep edge canvases but have framed several small oil on board under glass, using Richard Kimmerling here in Knodishall. He is a printmaker and does really good frames. I wanted the small oils to have “breathing space”, hence the use of a mountcard and therefore glass. But I’d like to hear more about this American style of framing please. I was over in Halesworth checking out the gallery at a coffee morning/meeting they held for the exhibiting artists earlier in March. I fell in love with the space! So atmospheric. It would be great if you visited the show. I’m not sure if I’ll be invigilating yet – I’d like to do at least one day (and will let you know if I do) – but have other exhibiting commitments either side of it with literally not a day spare before or after it, and as you may realise, I live quite far away. But it would be lovely to see you at the Private View on May 27th, 6.30 to 8.30pm, if you’re able to make it. a kind of ‘floater frame’ which while surrounding the canvas with a simple wood profile, allows a space between it and the canvas. I prefer not to frame box canvases normally, as it just adds to the cost and is second-guessing whether the customer likes that style anyway. I like your website and its images by the way Ruth. Ahhh … (penny drops) not the same thing at all – these are quite nice (the black is a tad too much for my taste) – really, I suppose its like a glazed, mounted frame – with work place on top of a mount and without glass 🙂 I’ll shut up now lol. I’ve been thinking about this and I suppose it is very much horses for courses – whether a buyer gets more painting and less framing or more framing and less painting for their money. I can see why galleries like a well-framed work – it does look more finished and polished (and I imagine easier for a buyer to imagine it in-situ) – but I’d hate the on-cost to put a piece of work out of someone’s price range. Sorry – these float frames look rather like a double-sided glass clipframe … am I looking at the right thing? I like a box canvas – have done frames – natural, neutral pine – but the cost of the frame + mounts can get a bit much. I’d rather someone make their own choice on framing too. Having said that, I don’t always want to work exclusively on box canvasses – I like canvas boards, which can get a bit chunky with a mount behind glass …. Love the energy in that bottom image, Mari. I’m with you on preferring to allow clients to choose their own frame, but looking around many of the established galleries in this region, I have to concede many of the canvases are framed, and they look a bit ‘more finished’ to me. Not anticipating an issue for the exhibs I’ve got coming up but suspect it may be something that rears it’s head in future. Bit too contrived for my liking. Love them….. Hard to decide about the framing as you know we have both and love both . I suppose u have your answer right there. variety’s the spice of life.